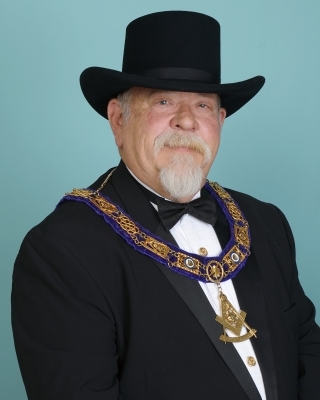 It is my great privilege and honor to be elected to serve as the 137th Grand Master of Masons of Arizona. I am truly humbled by everything that has happened to me in Masonry. I owe so much to so many for their love, friendship, and support during this incredible journey. I joined Freemasonry to become a better person; to provide help to those in need; to be involved and assist in my community; and to be a part of a Fraternity that was so rooted in its landmarks, traditions, and customs. A Craft that has stood fast and projected positive images to the world for hundreds of years, through its teachings and principals that remain constant and vital to men’s lives today. An image that is projected to the world in which good men wanted to participate. I am a traditionalist, but I also have an open mind for change. Our path is based upon the suggestions of the Craft and we each have an obligation to be certain that any change we make will be of benefit to the Craft or more importantly at least not a detriment. Have we heard and do we remember the words, “I am my Brother’s Keeper,” and “we will take care of our own?” Brothers, as we advance this Fraternity of Freemasons, we need to preserve the best of our past to promote a bright and glorious future. If we continue to change from what it was which made us great, we reduce the chance to retain that greatness. 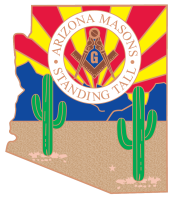 I have chosen as the theme for my year “Arizona Masons Standing Tall.” I ask all Masons, from the youngest Entered Apprentices who stand in the northeast corner of the Lodge, to the Worshipful Masters who preside in the East, Stand Tall at all times, wear the love of the Fraternity on your sleeve, and be proud of who you are and what you belong to. Share openly with all those around us the true meaning of the Craft. My vision is to find a way to better communicate, assist and educate one another (within the Fraternity and outside in the world). Communicate openly with all. Assist our Brothers and their families in need and educate the Craft, with the purpose of uniting our Great Jurisdiction. This shall be our goal! Ours is an organization which embraces high ideals and principals, seeking great men and seeking to make men great. Simply because some of society lowers its standards does not mean we must do the same to attract new members. We cannot hope to grow or even remain the same by lowering our standards, we must place emphasis on the quality of our membership. We must be careful in the admission of candidates and improve the admission procedure. By the necessary changes through communication and education, we will strive to make Masonry relevant for each generation in preparation for tomorrow. The world belongs to those who plan for it! Your Grand Lodge has encouraged participation in the proficiency of Lodges and members through several programs. I personally believe these are valuable programs. Through these programs our Brethren have received educational instruction on the methods by which our Grand Lodge and Lodges operate and the obligations that we as Masons have sworn to uphold. 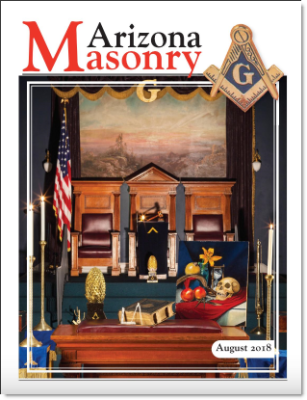 These programs assist us in promoting skilled Lodges, Lodges that provide quality floor and ritual work, promote good business ethics and provide our members with the education and Further Light in Masonry that so many Brethren are seeking. I firmly believe in order for our Craft to take good men and make them better, we need to supply all our Brothers with the tools and knowledge needed to succeed as skilled, passionate, and proud Masons. Freemasons have always been supporters of the youth, recognizing the rare and precious opportunity given to responsible adults to attempt to lead and mentor them in paths of good citizenship. We have heard many times before that the youth are our future; however, I believe that we are also the future of our youth. Each of us must become mentors and teach the lessons of this great Fraternity to those already within the walls of our Lodges and to those yet to come. Our youth will exceed our expectations if we teach them well. If you expect nothing, you will receive nothing. We hope to assist and support these young people in ways that will benefit everyone’s future. As Grand Master, there will be decisions made that may be controversial but I must assure each of you that I will do what I feel is necessary for the betterment of the Craft. As members of your Lodge, you are asked to do the same. Through communication we must get to know our Brothers, their strengths, their weaknesses, and their goals. It will be necessary at times for each of us to step out of our comfort zone and identify issues we have simply lived with instead of addressing them. The management and growth of our Lodges and the future of our Craft should be our main focus and responsibility. As we enter this new Masonic year, may each of us deepen our sense of caring for each other so that we may truly become Freemasons united together under our ritual and our ethics. We pride ourselves on doing what is right, treating others as we ourselves would like to be treated, and striving for excellence in all we say and do. Bring the values of Masonry into our everyday life. The prestige of Freemasonry lies squarely on the shoulders of each of us. The world needs what Freemasonry has to offer today more than ever before. I would like to offer my sincerest appreciation and deepest thanks to each of you for what you are going to do this year in support of moving this Grand Lodge forward. I must ask you to remember, it is YOU who are the Grand Lodge and your Grand Master and other Grand Lodge Officers are here primarily to support and assist you. As I have stated: I am truly honored by the trust you have bestowed upon me, and will do my best to exceed your expectations. Thank you Brethren for providing me the opportunity to serve you! 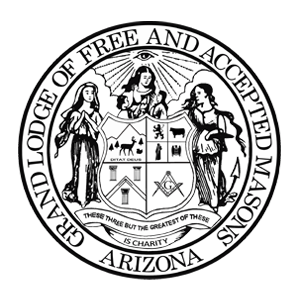 The Grand Lodge of Arizona is looking for the very best Masonic images of the year captured by the Brethren of Arizona who Love photography. 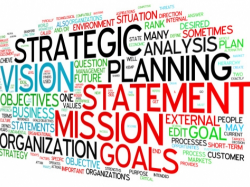 Every well-run lodge has or should have a written Mission and Vision Statement as well as a written set of Goals and Objectives for the current Masonic year to serve as a guide of what is expected to be accomplished and in what direction the lodge wants to move. The mission of Freemasonry is to promote a way of life that binds like minded men in a worldwide brotherhood that transcends all religious, ethnic, cultural, social and educational differences; by teaching the great principles of Brotherly Love, Relief, and Truth: and, by the outward expression of these, through its fellowship, its compassion and its concern, to find ways in which to serve God, family, country, neighbors and self. The address change is being made as our mail box is outside, not visible to office personnel, and when delivered on the weekend, is available to anyone who would happen to open the mailbox. If you have any questions regarding these changes, please don’t hesitate to call this office. We have an exciting year ahead of us! 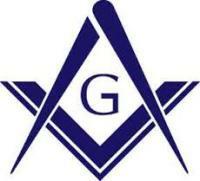 We will be conducting Schools of Instruction, and we will have a Grand Lodge Ritual Competition. We will continue to award Master Ritualist and Certified Lecturer designations. What follows are the requirements for both. August 6, 2018 (Monday) at Marion McDaniel #56 6:00 meet and greet, 7:00 p.m. start. September 26, 2018 (Wednesday) at Builders #60. 7:00 p.m. start. October 13, 2018 (Sa) Central Arizona #14 10:00 - 12 Noon (This will be part of a longer program planned). excellent opportunity to become involved with your local Schools and show our support and commitment to furthering education. Your involvement in these programs will be rewarding and give you an insight into the thoughts, ideas, and needs of the Students, Teachers, and Schools. Reading the Essays is fun, entertaining and inspiring and is time well spent. The Masonic bodies that comprise the fraternity of Freemasonry are many, and not all are for men alone. Each of the bodies, or orders, uses it's own set of symbology and allegory to illustrate to it's members important societal lessons. Follow the links below to learn more about the numberous orders.